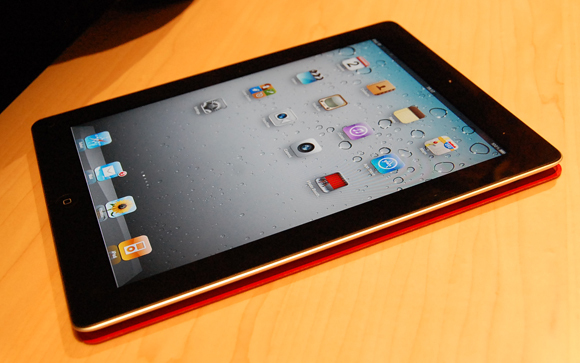 According to a new report from The New York Times, Apple is set to unveil the iPad 3 during the first week of March. The next-generation tablet is noted to feature an upgraded processor and “truly amazing” screen, with an external appearance unchanged from the iPad 2. It has been long-rumored that the iPad 3 would feature an improved screen with pixel density approaching or matching that seen on the iPhone 4 and 4S “retina” displays. In line with today’s report, recent rumors have also pointed towards a quad-core processor and improved GPU. The iPad 2 was launched in early March 2011 and expectations are that the iPad 3 will follow suit with Apple generally following a 12-month product refresh cycle.